"After looking at the genius of skin we are introduced to conceptual design solutions which Professor Mazzoleni's students have explored. Some of the design solutions in this book have merit and architects may see possibilities for design and patterns for building skins ..."
"Could the shimmering skins of exotic creatures really hold the key to sustainable architectural solutions?" ZQ: Our mission is to establish a credible platform showcasing the nexus of science and design in the field of biologically inspired design, using case studies, news and articles that are exemplary in their impact on the field, rigorous in their methodology, and relevant to today's reader. 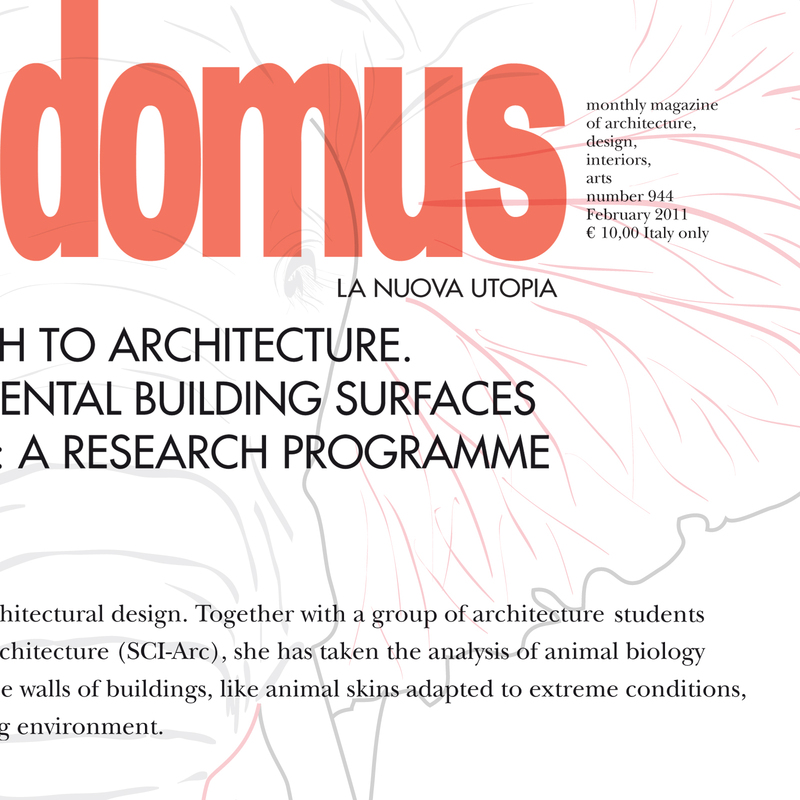 "Biomimicry: Innovation in Architecture Inspired by Nature"
A research program carried out at SCI-Arc by faculty member Ilaria Mazzoleni, involving a zoological approach to architecture and the design of experimental building surfaces, is featured in the February issue of Italian-magazine Domus.